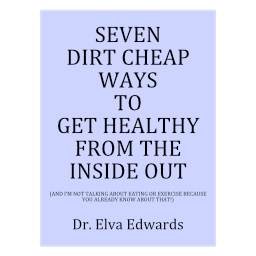 Structure – Dr. Elva Edwards, D.C. Most people enter my office in pain in some part of their body. After an interview and exam, normally, my work consists of adjustments and some massage. I do both adjustments with force and non-force, typically depending on what the patient likes. Sometimes I will tape a joint if the ligament is having a hard time holding the joint in place. And I have a soft laser instrument that I love. The ligaments hold joints together and the muscles move joints. Tendons are at the end of a muscle. These body parts, along with the fascia, have to work together in harmony the same way a family does. And we like everyone in the family to be happy! Sometimes that is easy to do and sometimes it takes dedication and work. Structural work can also require doing at home exercises to restore proper motion, allow the muscle to get stronger, and increase the lymphatic drainage. As we age, the muscles shorten and stretching exercises are required to stay limber and keep your range of motion! I share my office with a massage therapist, Valerie Campbell. She gives 60 minute or 90 minute massages. Her number is 720-298-1179.